Thousands of fighters transferred from Mosul with US support are involved in fighting, along with large numbers from Raqqa and Dier Ezzor. According to Tass and other reports, an ISIS offensive against Palmyra was beaten back overnight Saturday by Syrian and Russian forces. On Sunday, RT International reported a second ISIS attempt to take the city, involving around 4,000 (US-supported) fighters. According to a Russian military statement, “IS has dispatched a considerable force to Palmyra from” Raqqa and other areas. Heavy fighting continues. 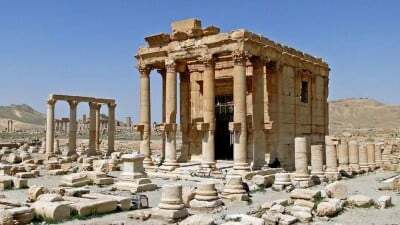 ISIS seized Palmyra last year, destroying or damaging historic sites, the city liberated in March by Syrian and allied forces, supported by Russian airpower. If the city is again lost, liberating it will have to begin all over again, not likely achieved before ISIS destroys and steals more priceless artifacts – with full US support and encouragement, another war crime on Obama’s lengthy rap sheet. On January 20, he’ll leave office in a blaze of infamy, his high crimes too wicked to ignore.